The fashion and apparel industry has been experiencing a shift in mindset for quite some time. 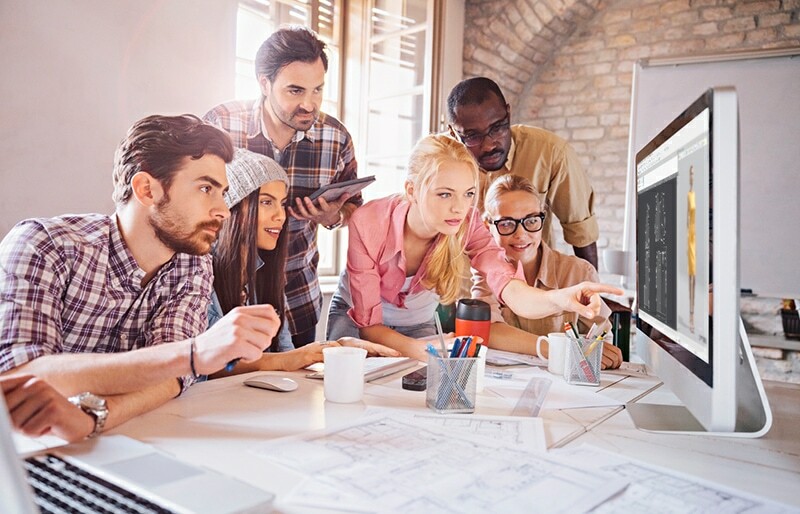 Adaptation of digital solutions in the supply chain solved some of the main pains of this stylish market, but at the same time brought new challenges in the form of rising competition and inner-organizational difficulties regarding the adaptation of a once completely manual work environment to a tech-driven workplace. In this new era of industry 4.0, the overall digital transformation and the shift in consumer behavior, being able to speed time-to-market is no longer an advantage – it’s a requirement. Using advanced tech solutions, production cycles have shrunk from months to weeks as brands attempt to get from concept to shelf even faster than before. This shift is a direct result of what the industry refers to as ‘retail apocalypse’ and the only solution is going fully digital. With this in mind, digital transformation isn’t just about speed and shortening concept to shelf. It’s about efficiency, earlier validation, creating better products and, more importantly, the ability to focus on creativity and innovation. The bigger picture entails a more general shift in mindset – the one towards a full digital solution that will disrupt the entire supply chain rather than just pinpoint parts of it. As tech innovation is rapidly developing and changing the world as we know it, touching all fields of life such as communication, commerce and even health care, the impact on the fashion production process seems to be inevitable. This is especially true due to the changes in consumer behavior, which fire-up the rush towards digital solutions. As shoppers turn to the world wide web to purchase items instead of taking the traditional walk to the nearby shopping center, brands and retailers are in the process of stepping-up their game in order to provide the goods. Moreover, this new mentality of ‘see now, buy now’ is forcing brands and retailers around the globe to not only adapt to a new digital reality, but push towards an even more innovative environment that will allow them to compete in their market without wasting valuable resources. Before the emergence of CAD (computer aided design) software, designers had to do all their work on paper – including new written designs for every variation or colorway. Embracing CAD technology resulted in the automation of the production process, from initial concept to final creation. The real game changer, however, is definitely 3D technology. This emerging technology has a 95% accuracy rate and can enable the production of a digital sample that is similar in appearance to what a physical sample would look like. 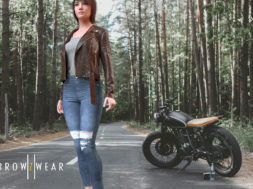 Photorealistic rendering, advanced fabric and texture properties, along with the ability to easily embed rigid parts such as buttons and trims, can allow decision makers to see how a garment will act and look – without needing to create a physical sample. A further drilldown reveals an unsettling picture as the apparel industry spends approximately $7 billion per year on samples alone. An extremely high financial cost in addition to the aspect of pure waste, which could easily be reduced by 75% using 3D technology. The impact is invaluable. The ability to finalize prototypes within hours instead of weeks, review collections within weeks instead of months, and change colors and graphics at a push of a button is revolutionizing the way garments are being produced. Moreover, the way the entire supply chain functions. In the current climate of industry 4.0 and the unfolding retail apocalypse, saving valuable resources such as time and costs is extremely vital in order for brands and retailers to keep up with competition. However, while usage of 3D technology in the stylish arena of fashion and apparel is vital due to its optimization capabilities, 3D on its own is not enough in this rapidly changing and challenging environment. Tech innovations take time and are gradually introduced to the market. The story of 3D technology and its relationship with the fashion and apparel market is a relatively long one that entails both visionaries who saw the revolution beforehand as well as those who preferred the traditional garment making process. Still, 3D technology was integrated through advanced plug-ins into existing tools such as in the case of Adobe Illustrator, whose 3D plug-in allows designers the freedom to validate and customize garments in 3D without abandoning the reliable graphics editor. 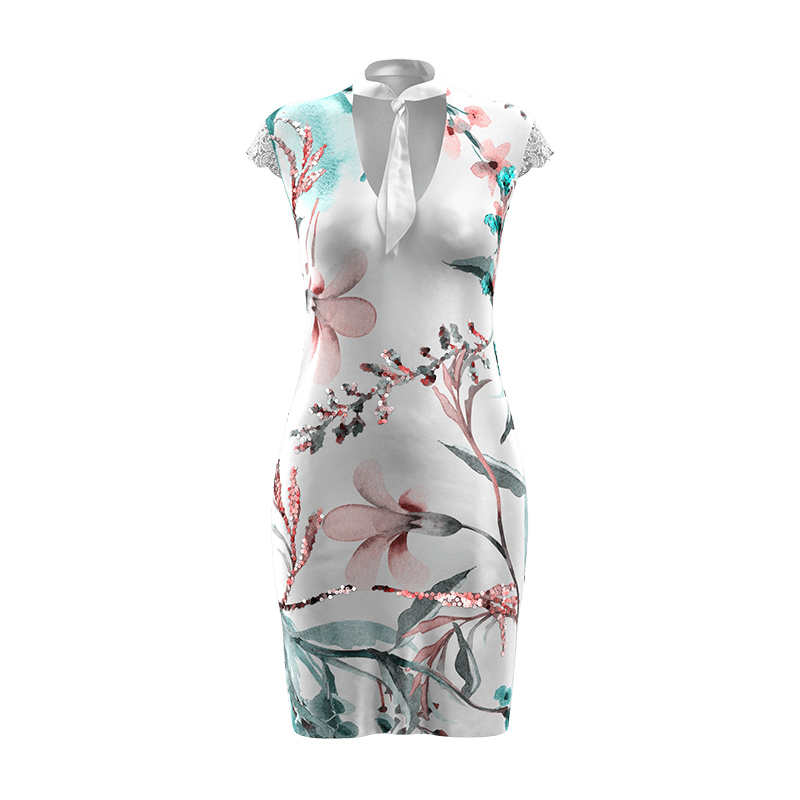 Today, designers can visualize 3D garments with accurate proportion and scaling, customize the garment’s fabric, texture, print patterns and graphic placement without waiting for a printed sample, all by using a 3D plug-in that runs in the native design environment on a PC or a Mac. 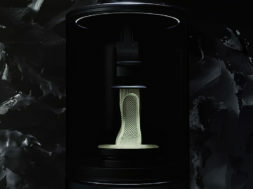 The tech industry rose up to the challenge and, after the initial period of educating the fashion market regarding the revolutionary traits of 3D technology by industry pioneers like us, along with a general cross-industry tech evolution, the fashion and apparel industry was finally ready to embrace technology and incorporate it into its existing workflows. This initial adaptation led to enormous changes with optimization of processes and resources above all else. The use of technology led to reduced waste both of time and fabric as 3D technology enables brands to cut development time in half and reduce the use of physical samples by nearly 50%. More importantly, the use of technology led to a massive reduction in ecological damages. While this is still a work in progress, brands and retailers are very much aware of the proportions of waste they are manufacturing and have found a solution in emerging technologies. But is this enough to survive the retail apocalypse and declare war on waste of resources? 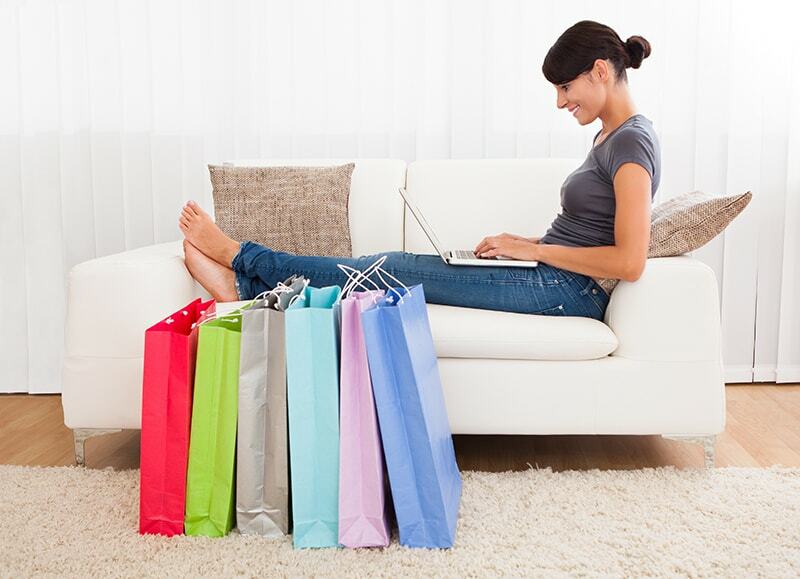 Today’s average millennial shopper purchases items with the click of a mouse. That same shopper expects to receive their online purchased items, tailormade and ready to wear, at nearly the same speed as the actual purchase. While the shipping process can be downsized to a matter of days – depending on financial resources – the manufacturing of the garment is the time-consuming element. In light of this, brands and retailers that aim to reach a global shopping audience need to solve the issue of manufacturing on demand. When purchasing a book on Amazon, for example, only then is the book printed, bound, and voilà – it is ready for shipment. Fashion and apparel shoppers expect the same level of efficiency when they are purchasing garments online. They see now, they buy now, and they want to wear now. This new approach to shopping puts every brand and retailer around the world at risk as consumers are no longer limited by the selection of physical stores in their geographical reach. With the right marketing efforts and an efficient supply chain, the smallest boutique can turn into an overnight success with a worldwide market share. Emerging technologies such as Artificial Intelligence, Virtual Reality and Augmented Reality are slowly making their way to dominate the online sphere and personalize content for every single user. New technology demands a new state of mind, it requires adaptation, and above all – creativity. The fashion playing filed is now more global than ever before. In order for brands and retailers to exceed the conspicuous retail apocalypse and reign the new era of apparel, they must be able to focus on creativity and dazzle their audience through design, and not necessarily through physical scale. The only way to fully optimize the supply chain and focus on creativity, is by going digital.